Winter is fully upon us, and sun protection is probably the last thing on your mind; however, protecting your skin from the sun and ultraviolet (UV) rays should be just as much a priority in the winter as it is in the summer. The sun can be just as damaging when skiing or snowboarding as it is on the beach. This is due to a combination of greater ultraviolet exposure at higher altitude, and UV rays reflecting off the snow – both are factors which can increase your risk of sun damage, and skin cancer. In addition, 80 per cent of the sun’s rays can penetrate clouds, so a gloomy winter day can leave you just as susceptible to sunburn as the bright summer sun. 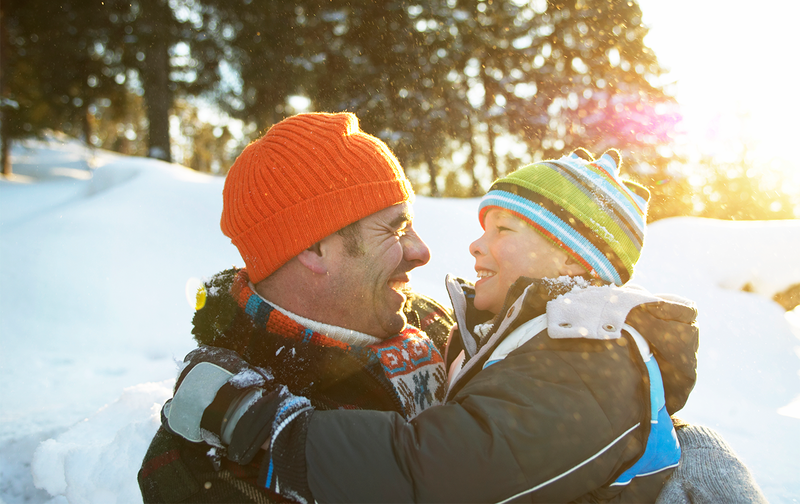 So how can you enjoy your favorite winter activities while still protecting your skin? The American Academy of Dermatology recommends using a broad-spectrum sunscreen (which protects against two wavelengths of UV light, UVA and UVB) with an SPF of 30 or higher. Sunscreen should be applied 30 minutes before going outdoors and reapplied every two hours. Most of us typically don’t apply sunscreen thick enough to achieve the SPF advertised on the bottle. You should consider applying a double layer of sunscreen which will ensure your skin is getting the protection it needs. Also, don’t forget to apply sunscreen to commonly missed areas – like the lips, ears, around the eyes, neck, scalp, and tops of the hands. It is also important to remember that wet conditions and strong winds can cause sunscreen to work less effectively. This makes frequent re-application essential. The sun is strongest between the hours of 10 a.m. to 4 p.m. If possible, try to coordinate winter activities earlier in the morning or in the late afternoon. If this is not possible, try to take intermittent breaks indoors to reapply sunscreen. If you’re worried you haven’t been diligent enough in protecting your skin in the winter months, you can make an appointment for a skin check with one of our dermatologists or nurse practitioners at Westmed Medical Group.